Much to our dismay, we often miss out on what's happening in the outdoor world. And while Costa Rica has its fair share of adventuristas, our geographic location limits the number of outdoor conferences and events we get to attend. If a private jet was parked outside our office, however, our calendar would be marked in bold with the Outdoor Retailer Show where outdoor enthusiasts can congregate and unabashedly geek out over new gear. 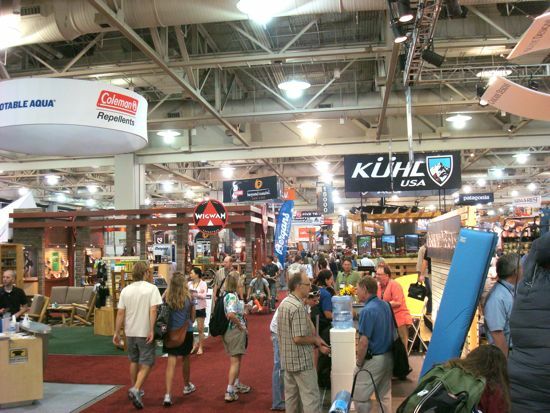 Simply put, it's a mecca for industry members and outdoor retailers to flock to so they can showcase new products before they're available to the public. Instead of physically being there, we've been keeping digital tabs on the Outdoor Retailer Show via Twitter, Facebook, and a handful of blogs. As an organization that revolves around and depends heavily on our equipment, we're looking forward to scoping out new gear. Despite the fact that its currently featuring primarily winter products, there's still plenty of reason to be "twitterpated" (Twitterpated? Yeah, twitterpated.) Here's what's already caught our attention this year. Let the geeking-out begin. All of our students, staff, and instructors could probably lecture about the need for a decent headlamp here in Costa Rica. For many of us, they're vital. Whether it's used for reading at night, trekking in low light, or even just getting around base, they are a fixture at Costa Rica Outward Bound. That's why we've been googly-eyed over this one, which was featured in a preview from the The Gear Junkie blog. It's super light-weight with powerful LED technology and practically indestructible - made by Light and Motion. Nearly all of our courses have to deal with finding clean drinking water or treating it at some point. How awesome would it be to have a convenient portable filtration system that's built into the water bottle itself? 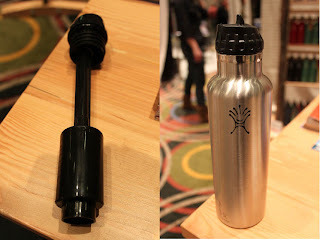 The folks from Hydro Flask pretty much answered this question with their nifty new device. The answer, by the way, is pretty awesome (pictures from the UtahOutside.com blog). With a gang of dogs running around our offices, sometimes it can be a challenge to corral them. It would sure be great if they carried their own leashes with them. 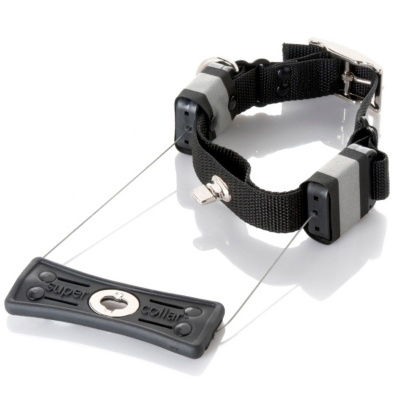 Turns out they can thanks to the Super Collar which features a built-in retractable leash. You can see it action on their site - it can even pull a car! Almost all of us down here at Costa Rica Outward Bound rely on our backpacks for traveling, backpacking, and going on weekend trips. With so many pack styles to choose from, we think it's pretty cool that Boreas Gear, from San Francisco, is letting people design and attach patches at their booth. Their website provides pictures of their backpacks and even shows a live feed of them at the show. Their initial lineup expected to launch in Spring, we're excited to see how people react. Interested in following the action yourself? Here's a live twitter feed to help you keep up to speed with what's happening right now. Are you anticipating any exciting or cool new gear? Which of these items are of interest? Let us know! 25 years after one of the most devastating moments in the Civil Rights Movement, Martin Luther King, Jr. remains one of the most celebrated figures in modern American history. His assassination was a near-paralyzing blow to the entire movement, but his ideas and principles resounded too deeply with the social psyche for the legacy to be permanently erased. 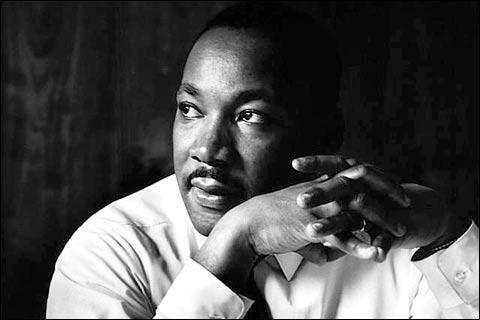 The champion of racial equality, Dr. King fought tirelessly for the removal of segregation in all of its wicked forms. In addition to his civil rights efforts, he was also a passionate proponent of helping others in the form of service, which he preached about as a minister as well as something he encouraged all of his followers to embrace. "We are crew, not passengers. Students and teachers are strengthened by acts of consequential service to others, and one of an Expeditionary Learning school’s primary functions is to prepare students with the attitudes and skills to learn from and be of service to others." "Everybody can be great. Because anybody can serve. You don't have to have a college degree to serve. You don't have to make your subject and your verb agree to serve... You don't have to know the second theory of thermodynamics in physics to serve. You only need a heart full of grace. A soul generated by love." As interesting as this exchange seems as an illustration of both leaders' points, we are more concerned with implementation. Every year, we craft courses that just might make Martin Luther King, Jr. proud - countless students have come to Costa Rica and spent an afternoon harvesting sugar cane, repairing houses, distributing food, teaching English, and providing safe drinking water. Promoting these cross-cultural service activities are, and always have been, a serious commitment of ours. So whether you're listening to the top MLK tribute songs or getting goosebumps from watching his speech videos, don't hesitate to make even a small service contribution in his honor. We encourage you to try to make Dr. King proud. Happy MLK Day from Costa Rica Outward Bound! As an organization that is constantly outdoors ("Outward Bound" is definitely no misnomer), we thought it necessary to compile a list of our favorite outdoor videos from 2010. Although the criteria was only loosely based on material that sparked our imagination for new experiences, made our jaws drop, or was just too awesome to miss, there is certainly one common denominator: these people are clearly dedicated to following their passions and continually exploring their interests which deserves massive kudos as far as we're concerned. That being said, let's start from the top. 1. Dark Side of the Lens - Mickey Smith, well-known surf photographer, put this short story together for the crew at Relentless Energy. In the words of the top rated comment on YouTube it is "One man's passion in life PERFECTLY captured. What a stunning coalescence of words, thoughts, music, and images." *Although the opening scenes are worthwhile, you might want to skip to 1:30 where the narration begins. Keep in mind, he EVEN writes the music. 3. Wingsuit Base Jumping - The next time you get into a what always turns into a heated debate about which super power you would choose, cite this video because it proves that flying is no longer limited to Marvel Comics characters. "Moot point, dude, humans CAN fly." But for real, "these guys are just buzzing the wall, like scraping their fingernails just about on ledges at 100 miles an hour." Impossible not to watch. 4. Ruben Lenten Kiteboarding - Making other kite-related sports look like a cute shy kitty in comparison, Ruben Lenten does things with a kite and a board that seem to have complete and total disregard for the laws of physics. The best part about the wipe outs: they bear a striking resemblance to the recent rash of birds falling from the sky. While there were a number of clips to choose from, this one had the most bearable soundtrack. 5. Crashed Ice - 2010 was a big year for the sport of crashed ice. And yes, I used the word sport intentionally because it combines elements of ice hockey, track and field, Nascar, and boxing. In fact, it's kind of the ultimate sport. The clip features the highlights of the 2010 season, which saw huge growth. Odds are we're not participating down here in Costa Rica any time soon, but either way, 50,000 people at the finals aint nothing to sneeze at. What outdoor videos from 2010 caught your attention? What deserves to be mentioned? Feel free to let us know in the comments section as well as your general thoughts. And let us know if you find anything in the coming year! Having lived in Costa Rica for a staggering four weeks, I'm going to be bold in honor of the coming year - I'm going to define what perhaps one of the most ubiquitous national expressions really stands for. But first, let's review pura vida in its fundamental form. "What's up, man?" - "Not much, pura vida." "How was your weekend?" - "It was pura vida!" "Is Carlos cool, or is he kind of a loser?" 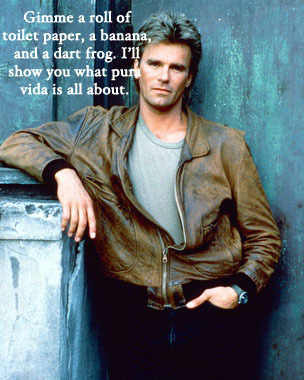 - "No, he's pura vida." "See you later!" - "Ok, pura vida." Basically, the point is that it's like a linguistic MacGyver in that it somehow manages to be versatile in almost any situation and it makes you feel cool for "pulling" it when you have a lack of options. While the conversational merits of the phrase are generally pretty easy to accept, the ways in which the words are deeply embedded into the Costa Rican lifestyle remain more ambiguous; but fear not, for here I attempt to crack the code. 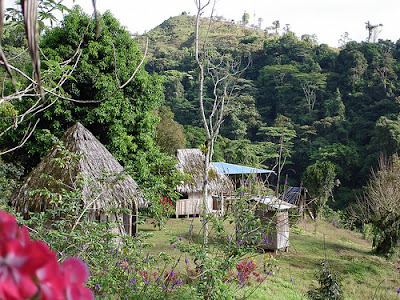 While many readers were enjoying the Christmas comforts of candy canes and Santa Claus, I was trekking through remote rain forest highlands sharing the holidays with almost exclusively Costa Rican families. From all of them, I gleaned more about la pura vida which helped to polish its meaning. Costa Rica is world-renowned for its diverse wildlife, a fact which does not go unnoticed by locals. People here are extremely proud of the animals that call this country home. Orlando Zamora Fallas, whose family I stayed with, on whether or not he supports hunting despite countless snake invasions: "That's not really what we're about. If I can provide for my family without killing, the animals deserve that respect." This respect for wildlife is Pura Vida. You would think that after years of living on a seriously remote farm, as beautiful as the land may be, you would prefer the amenities of city life. Not true of the Lopez children who spend a significant amount of time in San Jose, a populated metropolis capital city, as well as where they grew up in Piedras Blancas, a challenging hike from the nearest anything. "Que bonita la tierra" seemed to be a common, and more importantly, genuine observation. Santiago Parra, owner of Rancho Tinamu, doesn't use any chemicals whatsoever to improve his harvest yields not because green living is trendy, but because they ruin the land and endanger his livestock. 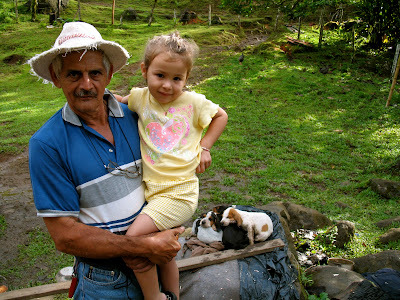 True appreciation of the land, even as it transcends generations, is Pura Vida. Hormidas Lopez has a reputation around here for being lively despite his age. His progeny comprising at least half of our guides/instructors, I was not surprised to be greeted by a paradoxically youthful old Tico man sporting a wilted bucket hat, dirty polyester dress slacks, and a two-tooth grin with a gap that’s almost not big enough to let his spry spirit spill through. He was completely beside himself after dinner Christmas Eve as he watched his kids and grand kids play together affectionately in the living room. Even as a total stranger, I felt welcomed, which was needed being so far from home. It became obvious that the importance of family is most definitely Pura Vida. Sure, you can go to a picturesque beach resort and relax by the ocean or get a massage at the spa. Those things are great and they do have something in common with the laid back pace of certain parts of Costa Rica. But you can do that in any number of places across the world. The real pura vida can only be experienced by personally interacting with the people who created it. All of the people I met along the trail play a crucial role in Costa Rica Outward Bound. Countless students have met them and countless students have enjoyed their hospitality and warmth. If you're interested in learning more, as always, check out our website for information. I won't even run the risk of sounding like so many other travel sites that boast the pura vida experience - come check it out and decide for yourself.